Thank you for completing our self-assessment and analysing your current home security. The purpose of this report is to provide you with some information customised by your answers to help you decide what’s next for your home security. At Securelux we hear about local break-ins everyday and are well aware of the everyday threat. Most intruders are opportunistic and are looking for a quick break and enter opportunities, while others have a selected destination and will spend more time trying to get in to get their desired items etc. Have identified that your home security is not where you would like it to be. That you are in a position to consider some upgrades to your security to have greater peace of mind. You are not alone when it comes to feeling this way. Securing your home usually isn’t the first item checked off a checklist but that doesn’t mean it isn’t a worthy investment. Spend 10-15 minutes researching each company, making sure they are using the product and installation methods that make you feel confident in your purchase. Consider the following elements during your free consultation with Securelux or any other company that you may want to compare prior to making an investment in your families security. Has the consultant clearly defined the product they are quoting? Do I understand the features and benefits of each product? Has the consultant clearly defined who they are as a business and their installation techniques? Do I understand the features and benefits of each company? What experience in security screen installations does that company have? Are the installers employed or contracted? If possible have your partner at the consultation so you can make the best choice for your family, if not possible have your partner speak to the consultants after the quotes to make sure the important factors are all considered. Compare your quotes line by line (its amazing how many quotes we see that don’t have the same number of items), if you are unaware of the differences speak to your Securelux Consultant. Why a consultation is so important? An important element of security is how comfortable you feel when you are in your own home. If you look at your current security and think that you could break into it, then chances are your current security is flawed. While measures like alarms & cameras are great complimentary products they don’t deter intruders from accessing your home. 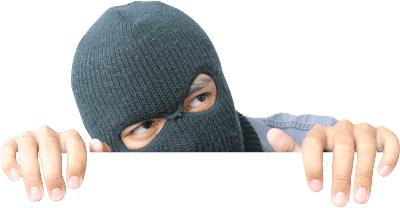 Cameras can provide assistance with identifying an intruder but the reality is even if you end up catching the intruder the valuables in your home may have been sold long ago. There are a number of types of break-ins that can occur. The most common is the opportunistic break in where an intruder gains access through open doors, flyscreens, poorly manufactured product or poorly fitted product. These intruders are not targeting their victims but are trying to identify the “weak link” of the street. Another regular type of break in is an intruder that is under the influence of drugs or alcohol. These types of intruders may be known to the potential victim or random. It is particularly important that the security product and installation can withhold a beating from these types of intruders as they will have a red-hot crack. These intruders can be particularly scary for your family and good quality security is recommended. Then you have the professional intruders, they are targeting a particular house. You may know them from a past relationship or through a connection or simply they have been in your house at some stage and know the valuables you have got. These guys have more time and have an idea of your schedule. No security or poorly installed security makes their lives easy. There is no doubt that securing your home is more important now than it has ever been. One of the key reasons we put this report together was so customers that felt the need to boost their security considered all aspects of their investment prior to making a purchase that may end up a waste of money if ever attacked by one of the intruders described above. Flyscreen can be removed with minimal noise and can result in burglaries occurring whether the home is occupied at the time or not. Barrier screens can also be removed with minimal effort! Break-ins can happen when you are at their premises as well as when they are at work or on holiday. To often customers don’t lock their doors around the home and also can leave their garage open for large periods of time. A potential intruder can be in and out without making a disturbance but there is also the threat that if caught the intruder may act out. There are a lot of screens that are not installed correctly, use cheap accessories or simply are not strong enough to hold off an attack. There is a reason that Crimsafe goes to the lengths it does to conduct testing on its products compared to the market. It is to distinguish between what is said and what is factual. At Securelux we understand the importance of the installation and use the highest quality accessories to ensure your security is as strong as it can be. It is unlikely that a neighbour will think that something is strange if your lawn is being mowed, or a delivery van rocks up to your residence. It is always a good idea to let a neighbour know that you are expecting guests so they are not alarmed by their presence. Having a good relationship with multiple neighbours you can “have each others back” and notify one another of suspect behaviour in the area. It is important that you only disclose information to neighbours that you trust. With over 38 years experience we know the ins and outs of the industry. The reason we employ our installers is so we can provide ongoing training and to provide a professional installation for our customers each and every time. 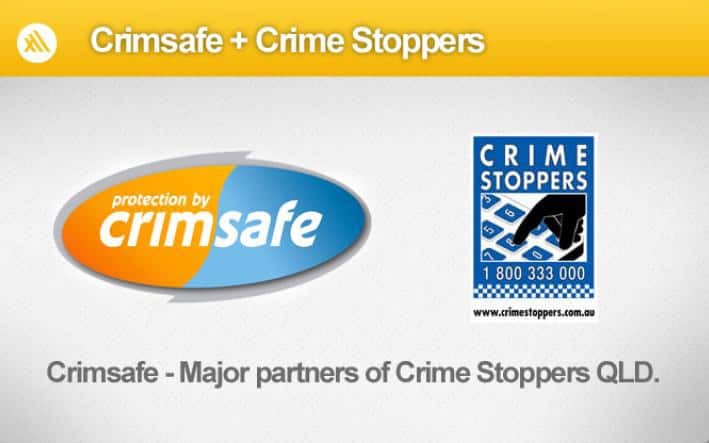 Our installation team has been acknowledged by Crimsafe with awards over the past 5 years. At Securelux we go above and beyond by selecting the heavy duty accessories and installing more screws to your window frames than our competitors. At Securelux we use the Crimsafe range of products, employ our installers & use the heaviest duty accessories to protect your family home. Have I locked all my windows and doors with a key? All glass products are locked where security isn’t present? Can I see flaws in my existing security? Do I understand the accessories installed onto my doors? Do I regularly like opening my windows at home? Do I feel safe when I am home? Does my partner and kids feel safe at home? What is protecting them when they open the front door? Congratulations for taking the first steps to securing your home. We hope this report gets you thinking about the process so you can have 100% confidence in your home security!